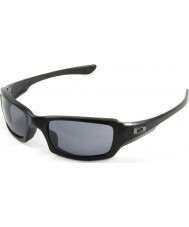 "OAKLEY OO9238-04 FIVES SQUARED POLISHED BLACK - GREY SUNGLASSES"
High quality sunglasses from a household name, all Oakley sunglasses are made from tough durable materials. 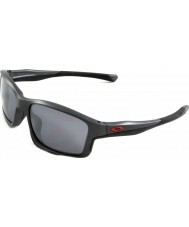 So this OO9238 Fives Squared OO9238-04 from Oakley will last for many years to come. But don't take our word for it, order the OO9238 Fives Squared OO9238-04 today and if you're not completely happy, simply return it to us in its original condition within 14 days for an exchange or refund.